Internationally acclaimed rapper Bohan Phoenix will bring his bilingual Mandarin/English flow to the stage, coasting on the wave of a successful China tour and the release of his banging new EP, YAODE 要得. He’ll share the spotlight with Faded Ghost, the producer alias of renowned Shanghai-based singer ChaCha Yehaiyahan, fresh off her SXSW debut and a live in-studio session in New York for Red Bull Music’s Peak Time program. The bill gets deeper and more experimental with a set by Kai Luen (a fixture in the mid-2000s Beijing hip hop scene via his beat-making alter ego Soulspeak), who will live-sample performances on trumpet and the Chinese reed instrument sheng by fellow CalArts MFA candidate Sara Sithi-Amnuai. 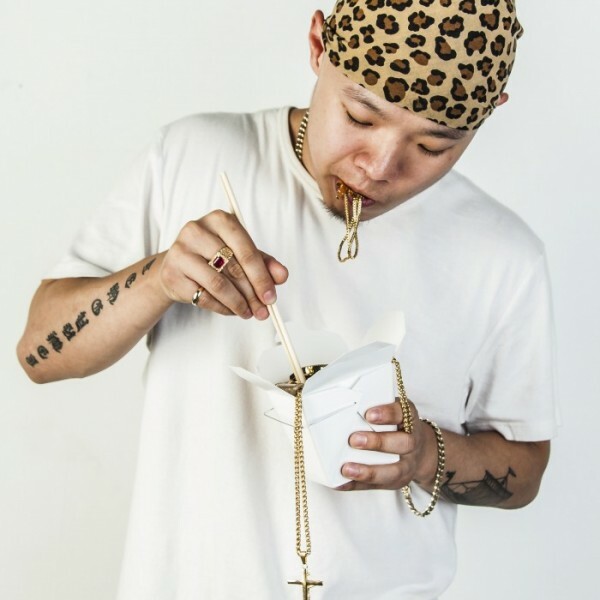 Last but not least, NYC-based rapper and multimedia artist MC Tingbudong will drop his socially conscious Mandarin/English rhymes over experimental trap beats, building on work he began during an artist’s residency in China last year and a SXSW slot alongside Yehaiyahan this past March.